Can Fluffy the three-headed dog be explained by advances in molecular biology? Could the discovery of cosmic "gravity-shielding effects" unlock the secret to the Nimbus 2000 broomstick's ability to fly? Is the griffin really none other than the dinosaur Protoceratops? 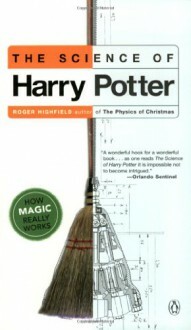 Roger Highfield, author of the critically acclaimed The Physics of Christmas, explores the fascinating links between magic and science to reveal that much of what strikes us as supremely strange in the Potter books can actually be explained by the conjurings of the scientific mind. This is the perfect guide for parents who want to teach their children science through their favorite adventures as well as for the millions of adult fans of the series intrigued by its marvels and mysteries. The title was misleading; magic doesn't "really work" at all.